This gaming console from Microsoft is designed for serious and passionate gamers. You can spend hours playing your favorite games with family and friends on the Xbox 360. The Microsoft Xbox 360 is equipped with an inbuilt space capacity of 4 GB where you can save several games for later retrieval. This console also functions as a home entertainment system as it lets you stream HD movies (1080p). Sleek and slim enough to fit fashionably in your TV unit, the console's matte finish also adds to its elegant look. The console unit holds 3 USB ports on the back panel and 2 on the front panel for convenient use. These 5 USB portshelp you greatly enhance connectivity and overall functionality of the Xbox 360 4 GB gaming console. The unit also ships with a standard Ethernet port, optical audio out port as well as a HDMI port that help you enrich the audio-visual gaming experience. The front panel also holds the quintessential power button that is touch-sensitive. The Xbox 360 gaming console has the ability to connect to the Internet, thus opening several gaming opportunities. This gaming console features inbuilt Wi-Fi (802.11n) capabilities. 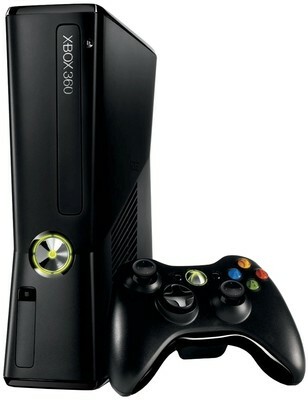 You will surely enjoy in-game sound effects and music with the 5.1 surround sound feature of this Xbox 360 4 GB console. One of the major advantages of this Microsoft gaming console is its exceptional online service, the Xbox Live. All Xbox owners can log onto the Xbox Live to download game add-ons like songs, maps, characters etc. It's no secret that multiplayer games bring a whole new experience to gaming. Finding the right platform where you can safely play multiplayer games with gamers who share the same passion as you is a difficult task. The Xbox Live is the perfect forum for spam-free, rich gaming. You can dive into online multiplayer games and play with friends or strangers from across the globe. 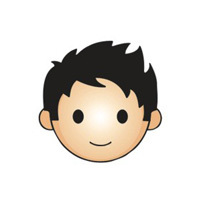 Additionally, you can also stay in touch with your friend circle via Facebook and tweet away on Twitter with Xbox Live. This Xbox 360 4 GB Slim ships with one wireless controller. The Xbox 360 controller is high performing and has a range of up to 30 feet. The wireless controller gives you the freedom of sitting wherever you want in your living room and does not restrict your movements. This controller works on two AA size batteries which let you use the device forup to 30 hours. The controller is elegantly and ergonomically designed to give you a strain-free weapon of choice. The right side of the wireless controller houses 4 face buttons (X, Y, A and B), while the left side is home to the D-pad. You also have the option of using the analog sticks placed on the right and left side of the body. The center face of the controller has the Start, Back and Guide buttons. On the back side, you will right and left shoulders as well as triggers which complete the intuitive interface of this gadget. The Microsoft Xbox 4 GB Slim gaming console is Kinect ready, a feature that converts physical action to digital output simulation. This feature has successfully added a new dimension to the art of gaming. This console is built to connect glitch-free with a Kinetic sensor and has a dedicated port for the same. USP Xbox 360 has blockbuster games, HD movies and controller-free fun for everyone.